If you share your birthday with famous people born on January 18, then it just may be hard for you to follow the rules. People may have a hard time understanding you as you can be painfully blunt and can be deceitful at times. The famous Capricorn born on January 18 are not all bad. They are agreeable people when they want to be. They are particularly intelligent people who have some psychic abilities. They could be considered as eccentric individuals and are truly ambitious. Famous people born on January 18 have an unlimited imagination that will take them far in life. They live by the rules for the most part and have a giving nature. Traditions are important to them but they are known to add a twist to things. Additionally, because they like to plan things, this could be a good career choice. Whatever their friends and family may say, they know all the right people to put together a gala to be remembered for many years. 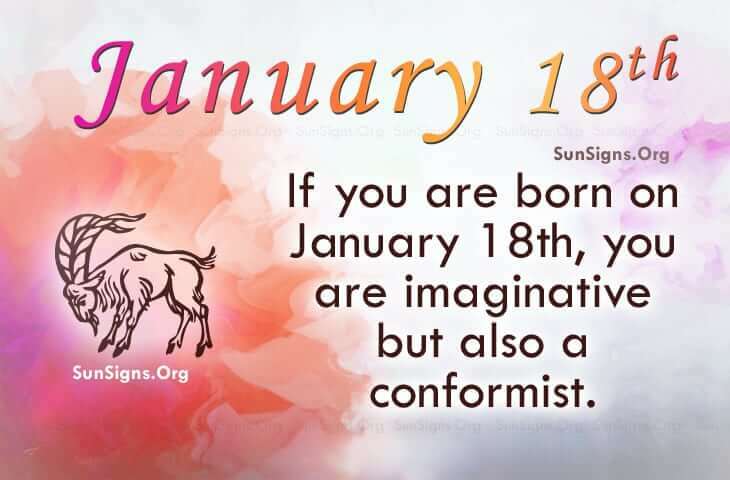 Famous Capricorns born on January 18 love their family. They are creative people who are law abiding, complex individuals. But they can make bad love decisions. Famous birthdays of January 28 are listed below.